FFA - Islamists and New York Times try to bully the NYPD into dropping all efforts to stop jihad terror plots. Please send your email urging Mayor Bloomberg to stand strong for NYPD’s surveillance. If Obama succeeds in intimidating the New York Police Department, the largest municipal law enforcement agency in the United States, to back off surveillance for certain terrorist plots then other law enforcement agencies across the nation will now doubt follow. Obama and Islamists try to bully the NYPD into dropping all efforts to stop jihad terror plots. The email prepared for this article has been deactivated. CAIR (Council on American Islamic Relations) did not have much of a fight convincing the Islamist friendly Obama administration to back off investigations of Muslims who may be plotting acts of terror against Americans. The Investigative Project on Terrorism reported on February 16, 2012 that the FBI removed more than 1000 presentations and curricula on Islam from FBI offices around the country that were deemed "offensive" and has banned all FBI offices from inviting any counter-terrorist specialists who are considered "anti-Islam" by Muslim Brotherhood front groups. Now that the FBI has backed off investigating terrorist threats from radical Islamists in the United States they are trying to bully the New York Police Department (NYPD) into doing the same. The Department of Justice, which is increasingly showing itself to be the de facto legal arm of the Muslim Brotherhood in America, is going to investigate the New York City Police Department for … protecting America from jihadist attacks. More than 45 Islamic plots have been stopped since the September 11, 2001 attack on New York resulting in the arrest of nearly 200 Muslims according to a report by Atlasshrugs.com. Report Abstract: A random survey of 100 representative mosques in the U.S. was conducted to measure the correlation between Sharia adherence and dogma calling for violence against non-believers. Of the 100 mosques surveyed, 51% had texts on site rated as severely advocating violence; 30% had texts rated as moderately advocating violence; and 19% had no violent texts at all. Mosques that presented as Sharia adherent were more likely to feature violence-positive texts on site than were their non-Sharia-adherent counterparts. In 84.5% of the mosques, the imam recommended studying violence-positive texts. The leadership at Sharia-adherent mosques was more likely to recommend that a worshipper study violence-positive texts than leadership at non-Sharia-adherent mosques. Fifty-eight percent of the mosques invited guest imams known to promote violent jihad. The leadership of mosques that featured violence-positive literature was more likely to invite guest imams who were known to promote violent jihad than was the leadership of mosques that did not feature violence-positive literature on mosque premises. Specifically the NYPD study found that highly Sharia-adherent mosques have played a prominent role in radicalizing several groups who conspired to commit acts of terrorism in the name of Islam, including some groups who were successful in carrying out high-profile attacks. One plausible explanation for why the highly Sharia-adherent mosque is believed to have a connection to the radicalization process is that the global jihad is an Islamic revivalist movement centered on a common Sharia-drivenmissionand the mosque serves as a locus for the intensification of religious beliefs. Since the Obama administration and U.S. Attorney General Eric Holder are more influenced by Islamists than they are by concerned Americans the responsibility of public safety falls to local law enforcement. 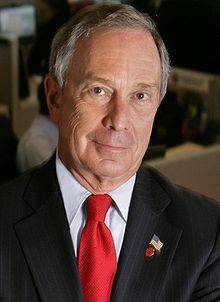 Florida Family Association has prepared an email for you to send urging New York City Mayor Michael Bloomberg to stand by NYPD Police Commissioner Raymond Kelly and NYPD’s surveillance for certain terrorist plots which keep Americans safe.